New York, NY- This past weekend Urban Girl Magazine correspondents Esmay Richmond and myself, attended the Her Legacy Conference and Gala at Columbia University. This was a 2 day event jammed packed with informational conferences, valuable connections and black tie gala to top everything off. New York, NY- This past weekend Urban Girl Magazine correspondents Esmay Richmond and myself, attended the Her Legacy Conference and Gala at Columbia University. This was a 2 day event jammed packed with informational conferences, valuable connections and a black tie gala to top everything off. Although the inauguration of a openly misogynistic president elect Donald Trump also took place on Friday which was the kick-off day of conferences, women were pumped up and empowered and ready to share that with one another. This event was presented by We Believe NYC which is a non profit college campus based organization curated by Columbia University student and aspiring attorney and political leader Chelsea Miller. 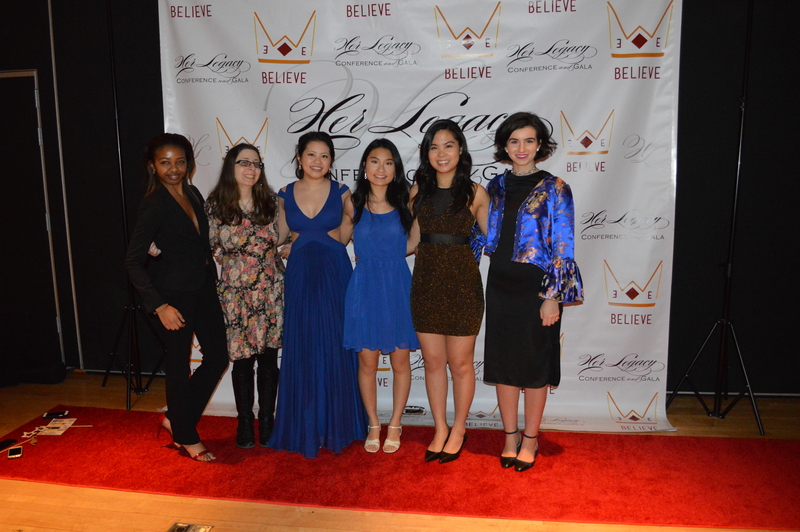 The college women who are members of We Believe NYC participate in the Dare to Dream program, where they mentor middle school girls in their communities. We Believe NYC has expanded to the We Rise Network where they have chapters and representatives at a number of colleges on the east coast. The We Rise Network is currently present on the college campuses of Howard University, Temple University, and at the University of Pittsburgh. Now that you’re informed on the amazing initiative behind this conference and gala lets go into detail about this fun filled, empowered weekend. Friday January 20th marked day 1 of conferences. Everything took place at Learner Hall on the Columbia University campus. The first panel discussion was underway at 11:10 am. All 5 women gave tips and advice on how to redefine feminism. Towards the end of the panel discussion Amanda Matos shared her thoughts what she thinks we all need to do in order to shift the current political climate. Some of the other panels that took place throughout the day included “Finding and Promoting your Leadership Skills”ft. Shelley Rawlings(Founder/Ceo of Innovative Marketing Solutions), Miriam Altman (Co-founder/Ceo of Kinvolved), and Zsuzanna Evans (Founder/Ceo of Joli Beauty Bar), “Women & Girls & the Criminal Justice System”presented by Sarah Zarba (Coordinator of Vera Institute of Justice), Piper Anderson (Dounder/CCS of Create Forward), Dr. Carla Shedd (Assistant Prof. of Sociology & African American Studies), Leyla Martinez (Founder of Beyond the Box), Victoria Pratt (Judge of Newark Municipal Court), and Topeka K Sam (Founder of The Ladies of Hope Ministries), “Women’s Physical & Mental Health”Presented by Daya Pichardo (Founder of Purely Positive Women of Purpose), Lillian Pucha (Youth Advocate) Rupande Mehta (Founder of SAR Foundation), and Holly Roberts MD (Sr. Dir. of Clinical Development) , “Women in STEM”, “Women in Law”ft. Elsa Stamatopoulou (Indigenous People’s Rights), Rita Dave (Attorney), Janelle Matthews (Staff Counsel, Geico), Esther B. Cajuste (Attorney) and Catrina Shivers (attorney) and a many others. Each room was filled with inquiring minds interested in the knowledge each #girlboss sitting on the panel had to share. As young women from the audience jotted down notes and asked questions, panelist eagerly answered their curiosity and stuck around afterwards in order to further explain any lingering curiosity. The energy in each room was full of positive vibes. Every woman was helpful to one another and uplifting. Day 2 began promptly at 7:00 am with a Zumba class lead by Valerie, and conference attendees were open to join if interested. Although this marked the day of the Women’s March taking place at our nation’s capital and coincidentally around the country and world, attending the Her Legacy conference was a logical alternative. You were able to feel empowered and informed on issues surrounding women’s rights in America and in the world. Saturday’s conference topics included “Coalition Building” ft. Chelsea Miller(Ceo of We Believe), Ahmad Greene-Haynes (Founder of Combahee), Marilyn E. Alvarado (Paralegal), Dr. Lucinda A. Acquaya-Doyle (Phd & MSW), and Leah Jackson (Assistant Director of the University Advertisement Center), “Public Speaking & Networking”, “Women in Entertainment” ft. Rose Daniels (thisis50.com), Amber Ravenel (CEO/Founder of the Ravenel Agency) , Chante D. Dyson(Editorial Intern at NYLON Magazine), Tanisha Laverne Grant(Ent. Correspondent of Blackinamerica.com), and Poet on the Watch(Co-owner of Newark Women in Film), “Finding Your Purpose” presented by Davida E. Arnold ( Ceo of Girl Game Changer) , along with a host of other thought provoking subjects. The conferences ended around 4:00 pm Saturday evening and attendees were welcome to stick around and cultivate new connections or to leave and return for the Gala which started promptly at 7:00 pm Saturday night. The gala took place in the auditorium of Learner Hall. There was a step and repeat with the “WE Believe” logo along with a star studded red carpet for photos from the professional photographer Angelita. During the cocktail hour guests mixed, mingled, shared business cards and purchased merchandise from the vendors. 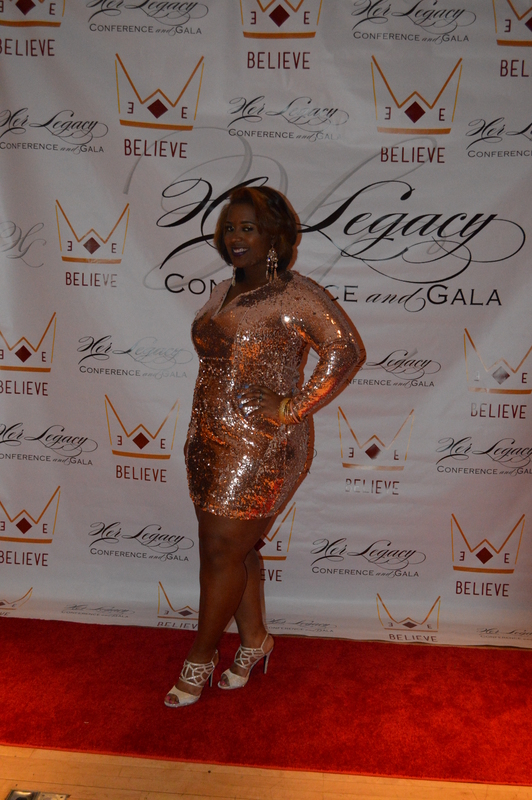 The Gala was hosted by Thurgood Marshall School of Law student and Atlanta, GA native Staci Childs. During the gala guests were served dinner by chef Jamilah J and Martinelli’s sparking cider. While attendees enjoyed their dinner they were entertained by live performances by Nkira Barrow, Jason Piersaint, Cracked Binding, dance performances by Sabor and Triana. There were awards presented to Karen Webster, and Amber Ravenel. There was another spoken word performance by Fatima and a speech given by Miss Ghana USA 2013 Lisa Aidoo. Proceeding the gala presentations attendees were encouraged to hit the dance floor and enjoy music from the live dj and raffle tickets were drawn and winners were announced. There were raffles prizes from Cocotique, Shea Girl, Uniquely Wired and others. Stay tuned for next year’s We Believe NYC 2018 conference and gala it will be grander and even more impact-full. Stay tuned to this post for the full video coverage of this event.